All over the West Indies there were sugar cane plantations during the days of African slavery. Even small islands like Saba tried their hand at growing sugar cane not only for sugar but to make a strong rum called “KILL DEVIL”. Some years ago on the outskirts of La Romana we stayed in the beautiful hotel called “La Reina Cumayasa.” It is a small hotel surrounded by twenty or more square miles of land belonging to the Barcelo family of Spain. The hotel is located on a height above the Cumayasa river. I had left my friend Elmer Linzey behind in a guesthouse opposite a gas station near the center of La Romana. The guesthouse was compliments of our hosts, but I wanted something quieter. A taxi driver said, “If you want quiet I have the place for you.” When the wife and I drove up to the hotel they were amazed. The manager said that they had never had people drive up without reservations and ask for a room. We got a real good price and it was all inclusive. The room we stayed in was so big it was like having three houses in the country. I still have the hotel with me as I brought back seed from an unusual palm tree located at the front of the hotel and the palms are now in front of the Government Administration building on Saba as well as at the Saba airport terminal building. You would think that I would be around the swimming pool relaxing. Instead my wife had to ask me what in the name of God was so interesting about Santo Domingo phone books. She had seen me doing the same thing in the Howard Johnson hotel in the city of San Pedro de Macoris. What kept me so busy all morning was studying these phone books and taking notes of surnames. The ones I was interested in were mostly those from the former British, French and Dutch islands between Nevis and Anguilla. In the San Pedro de Macoris phone book I found some 186 different surnames and in La Romana at least 110 of people who could have descended from these seven islands. There were hundreds in total of course, but I just noted down one of each. So if there was an entire page of Richardsons’ only one of my totals in each place was a Richardson. As a boy growing up we used to hear stories about Saban and Anguillan owned schooners taking people down there to work in the canefields. I had a great uncle John Leverock Johnson, an elder brother of my fathers mother who owned a large schooner. He used to trade there carrying people from the Leeward Islands. If he followed the trend of the day he must have left some little people down there as well. He had a son on St.Barths so he was already known as a drifter from the home front. Sailors and all that you know. Some years ago then Senator Kenneth van Putten and I were sitting at the airport on St.Maarten. We were on our way to Curacao. It seemed like nearly all the workers were speaking Spanish. We reminisced on the days when only a few of our older people were able to say a few words in Spanish. People like my old friends Milton Peters, Lionel Bernard Scot, Piasco Wilson, Capt. Austin Hodge and others would tell me stories about their stay in Santo Domingo. I lived with the Hodge(Velasquez) family for about ten years. We had a dog named Ramon Natero after a wellknown rebel leader who fought against the United States occupation of the Dominican Republic. Captain Hodge used to tell me that he had met the rebel leader once in person at a dance. 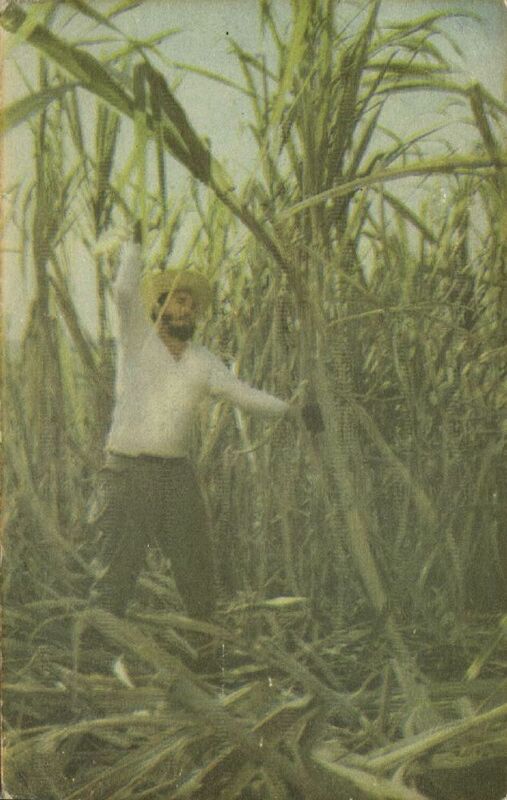 Rebel socialist leader Fidel (Castro) showing workers in the cane field that he can carry his own weight in the cutting of cane. In 1898 and 1899 two hurricanes hit the Leeward Islands and ruined the already shattered economy. Many people were forced to migrate en masse to Bermuda, where a large naval shipyard was being built by the British Government. By 1901 there were 1600 workers from the Leeward Islands living in Bermuda. Between 1901 and 1904 no less than 2.431 migrants, the majority of whom were men ready to work as loaders, carpenters and masons, arrived in Bermuda from Nevis and St.Kitts. Only 10 to 20 percent of the immigrants were women. Most of these women earned a living by cooking for the workers, although many were employed as domestic workers. When the construction of the shipyard was completed in 1905, the majority of the recent immigrants had to leave Bermuda, and many went to Cuba and the Dominican Republic. 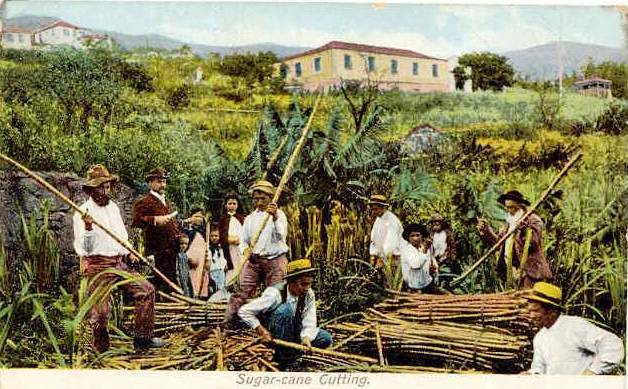 The Dominican sugar cane plantations had been employing manual labourers from neighbouring islands for some time. In 1890 alone the Dominican centrales (sugar factories) imported more than 3000 labourers from the Leeward Islands. In 1902, this figure rose to over 4.400. With the increase in population and the construction of new centrales after 1906, the demand for manual labour in the Dominican Republic grew considerably. In 1914 the number of contracted labourers in the Dominican Republic grew to 11.800. About 2500 of these people came from the Leeward Islands. The rest were from the Virgin Islands, the Turks and Caicos and Jamaica. Dominican plantation owners offered salaries of up to one dollar per day, a clear improvement over the thirty cents per day paid in the British West Indies. 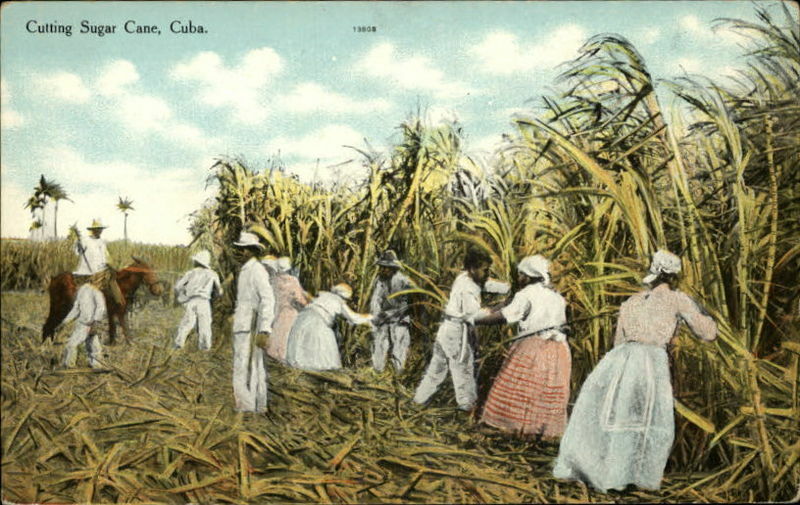 The Dominican Republic also witnessed a seasonal immigration of workers from the Leeward Islands between 1914 and 1939. The Dominican sugar plantations offered wages that were more than double those paid on plantations in Nevis and St.Kitts. The sugar factories in La Romana and San Pedro de Macoris paid between $20.– and $30.– weekly for six consecutive days of work, while in the Leeeward Islands the average salary was barely $12.– per month. Unlike in Cuba where labourers would often settle for years, in the Dominican Republic cane cutters from the Leeward Islands would frequently work for the six months of harvest and then return to their homeland islands. Year after year, between 2.500 and 4.000 labourers from St.Kitts and Nevis as well as several hundred from Antigua, Montserrat, the Virgin Islands, Dominica, Anguilla and also the Dutch and French Leeward Islands would sail to the Dominican Republic in search of work. One of the many Saban owned schooners. This one is the Mona Marie of Capt. Laurie Hassell leaving Aruba in 1935 with gasoline for Barbados. The large schooners which transported them were rented by Dominican sugar factories. The labourers left the women, children and elderly behind. This created a labour shortage in the Leeward Islands. Planters here in these islands were forced to employ women and the elderly to cut sugarcane and pick cotton.The Dominican sugar factories were controlled by United States capital interests. 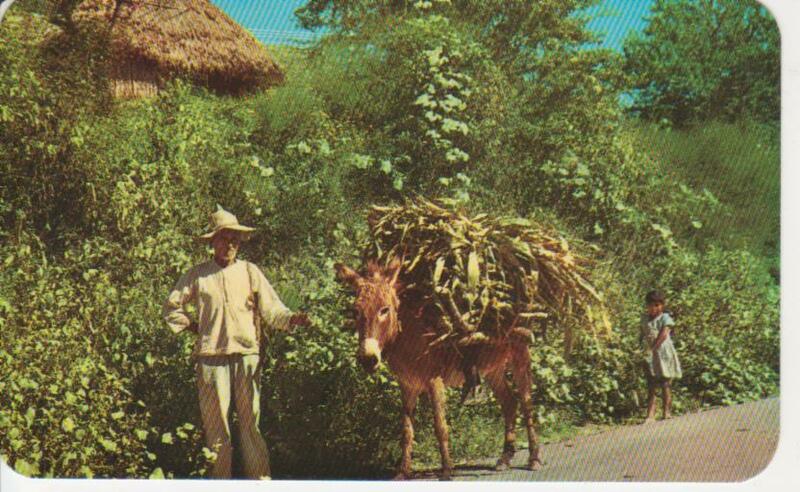 In 1924 the United States sugar companies controlled 438,182 acres of the best farmland in the Dominican Republic. In 1927 they controlled 6.3 million acres in Cuba and 75 sugar factories there produced 62.5% of Cuban sugar. Some scholars estimate that of the 4.2 million tons produced in 1924 in Cuba more than 75% was controlled by financial interests in the United States. Migration statistics from Nevis and St.Kitts alone register more than 90.000 workers who went to the Dominican Republic between 1914 and 1939. This does not mean they remained there though some of the single men did stay. the British employed especially white Sabans as guards to work in the prison camps on Bermuda. In 1902 there were more than one hundred Sabans working in the prison camps. The British mistakenly believed that Sabans could speak Dutch and would be able to communicate with the Boers. As a boy I remember old Sabans telling stories about the various Generals like Viljoen, Melaan and so on with whom they had made friends while working in the prison camp Captain Ernest Alfred Johnson in his book also mentions this. In 1898 when the male population of St.Maarten including boys was 1546, no less than 420 men of that island went to the Dominican republic to work. In 1901 of the 1239 males there were 761 who were working in the republic which was nearly the entire productive working force. For Saba in 1912 out of a male population of 774 (excluding boys) there were 530 working off-island (mostly as sailors and Captains). In 1906 about 20 Windward Islanders went to Surinam in search of work on the construction of a railroad. They could not take the climate however and most returned in 1907. 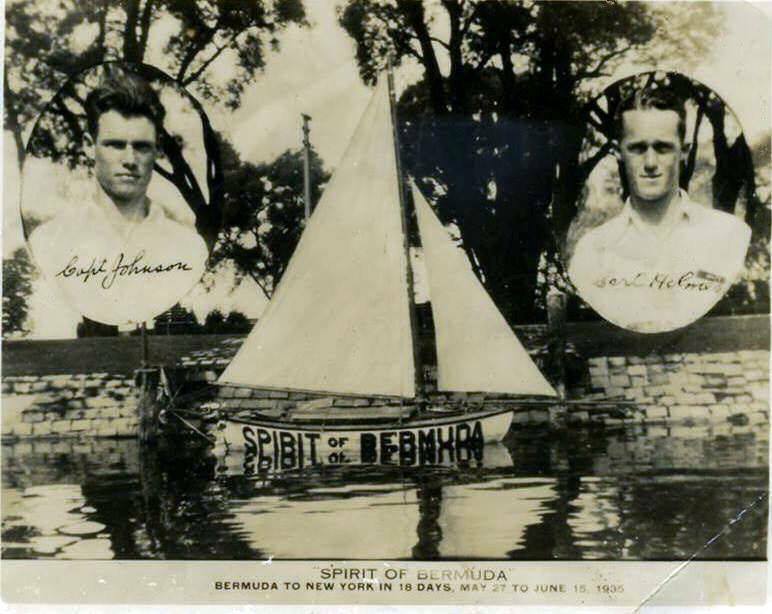 My former boss Joseph Alphonse O’Connor told me that Saban owned schooners used to carry salt to Surinam and that as a young boy he went along with Captain Herman Simmons on a large schooner to Surinam and back. During World War 1 the seasonal migration from St.Maarten to the Dominican Republic increased. From 1885 to 1895 the population of the three Dutch Windward Islands declined by 14% (from 8623 to 7402). And since it was nearly all men who left, in 1895 there were 45% more women in the three islands than men. The transportation was horrible. As many as 200 to 300 men were crowded into schooners. There were even deaths at times due to unhygenic conditions caused by crowding. 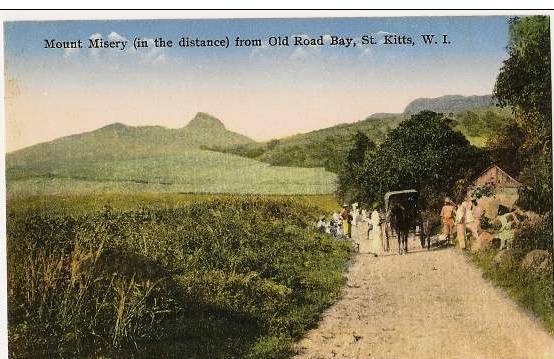 A nice old postcard with the island of St. Kitts and the sugar cane plantations in the background. I remember in the nineteen fifties when the sugar cane workers during a strike set fire to the sugar can plantations on St. Kitts and for many days you could see the smoke and the fire from here on Saba. 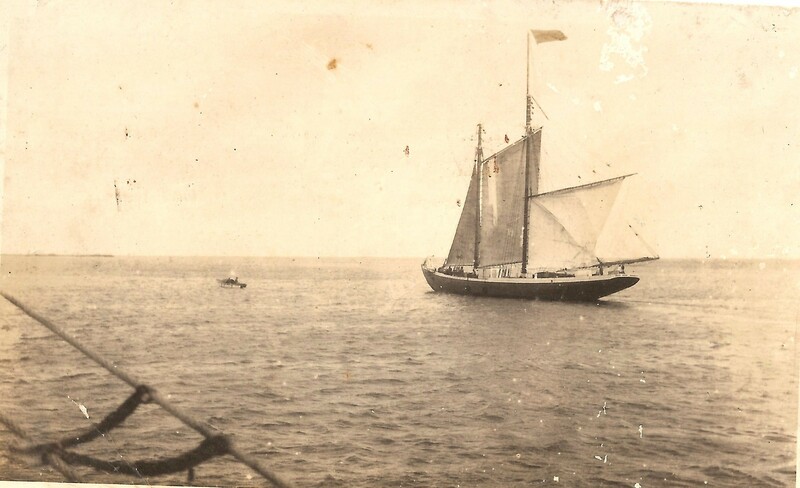 On November 20th 1907 a schooner from St.Maarten (not a Saba captain though) left that island to go with a large contingent of men to Connetable. On December 30th the vessel returned, after not having found the island. Conditions on board were so bad that food had to be rationed. So great was the labour shortage on St.Eustatius that the following incidents are recorded. In 1912 because of a landslide by the Bay Path, the government brought in forty labourers from Curacao. And in 1914 when the historian J.H.J. Hamelberg rented 500 acres of land from W.J.Mussenden on which to plant sisal, Governor van Grol had to import 22 labourers from Curacao, 20 from Nevis, 25 from Aruba and one Venezuelan. On Sundays Father Bertrandus Krugers O.P. who was fluent in Papiamento even preached in that language for the newcomers from Aruba and Curacao. Farmer going home with cane tops for his cows. Harvesting cane on one of the great plantations in Cuba.